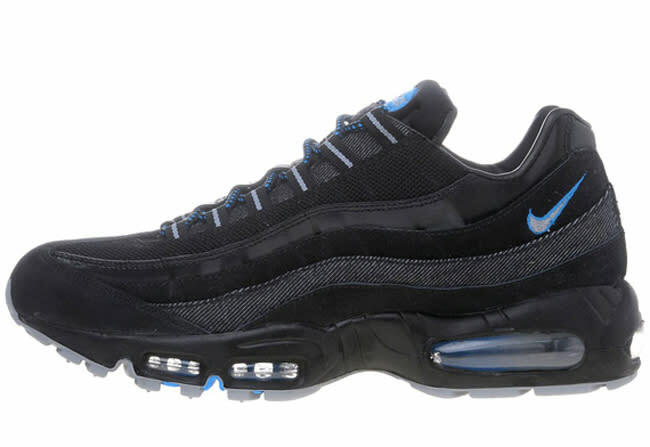 Nike Air Max 95 JD Sports "Black/Photo Blue"
Europe-based JD Sports gets yet another dope exclusive from Nike, this time utilizing the Air Max 95. They feature an all-black mesh, leather, nubuck, and denim upper, black midsole, and a Photo Blue Air unit and accenting. These are now available at JD Sports but don&apos;t fret, they ship international.